Big sound from a tiny package. Try this super-micro 50W guitar amp and you won't believe the volume and classic sound quality that it delivers, thanks to the innovative design and its small package. 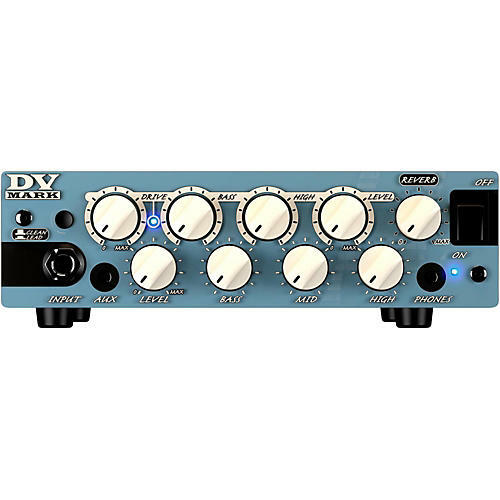 The DV MICRO 50 features two channels with user-friendly and effective controls and on-board reverb. It' also equipped with an XLR line out, plus and headphone output and a handy mini-plug œaux in to connect an MP3 player to mix to practice anywhere, anytime. This amp also features a Dual Voltage Switch 120V/240V to use the amp in countries with different voltages without having to carry an external converter!